The State of Utah reported a 400 percent increase in opiate-related deaths from 2000 to 2015. After having his wisdom teeth removed, Max Curtis was written a prescription for an opioid pain-killer known as Vicodin. Curtis, who was only 16 at the time, had always heard that people developed uncontrollable addictions to the drug and found himself wondering why. “I knew that it was supposed to feel good,” says Curtis, a former Salt Lake Community College student. Curious about the sensation or “high,” he decided to take an extra dose. “I was given a month’s supply, so I started taking double the dose, and the addiction went from there,” says Curtis. From a doctor’s prescription to buying pills on the street, the trajectory is tragically common for those who unwittingly fall prey to opioid pain-killers. “Everyone knew how bad these drugs were, but when a doctor prescribes them, it can inhibit you from viewing it as ‘doing drugs,’” says Curtis. When finding a doctor to prescribe opioids to sustain a habit isn’t an option, many addicts turn to finding a fix through illicit avenues. Buying pills illegally means relinquishing control over what’s consumed or ingested, adds Curtis. In his case, one little pill marked to appear as a pharmaceutical opioid was more than what he bargained for. “It had the markings of a prescription-grade Percocet, but as soon as I took it, I knew something was wrong,” recalls Curtis. That night, what Curtis thought would be a brief respite from withdrawal symptoms turned out to be a wake-up call. He lost consciousness and awoke hours later shaking, in pain and confused. At this point an experienced user, Curtis knew he had taken a small dose of the deadly drug Fentanyl, a synthetic opioid 50-100 times stronger than morphine. Curtis, who is now studying Chinese and International Relations at the University of Utah, looks back at that experience as a call for change in his life. “That was it for me, but there are many out there who don’t even get the chance to learn their lesson,” adds Curtis. His point hitting close to home as the opioid epidemic has had a notable impact on Utah. According to FOX 13 News, in October 2018 a federal grand jury handed up indictments in the case of a Cottonwood Heights fentanyl distribution operation. The operation was considered one of the largest in the nation, responsible for the distribution of nearly a million fake pills, many of which were laced with Fentanyl. FOX 13 also reported that the mastermind of the operation, Aaron Shamo, was charged with 13 counts of aiding the distribution of a controlled substance that resulted in death. According to the Utah Attorney General’s Office, the state saw a 400 percent increase in opiate-related deaths from 2000 to 2015. 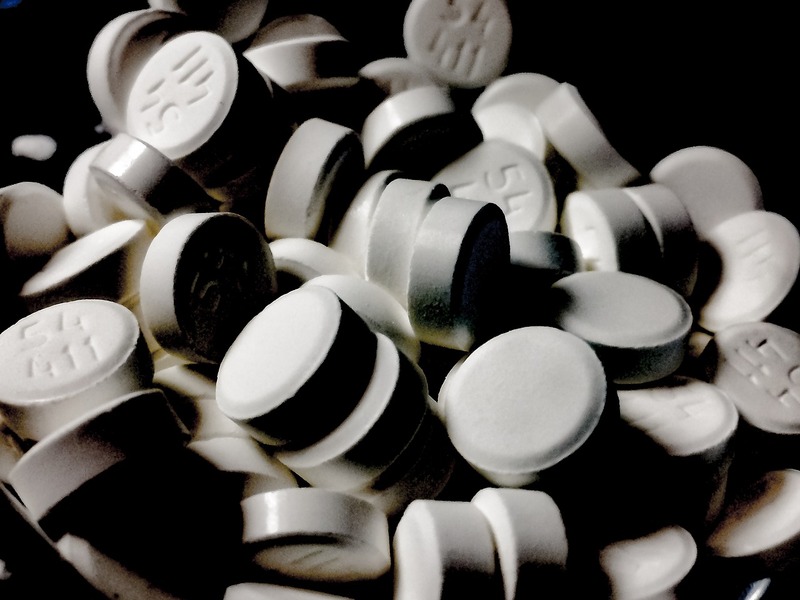 When the Utah Department of Health received state funding to deal with the crisis directly, there was a glimmer of hope as opiate-related deaths saw nearly a 30 percent drop. When funding expired in 2014, however, that drop was erased by a 30 percent rise. SLCC and Utah are doing what they can to combat the devastation the drug has caused nationwide. In a panel hosted by SLCC, Attorney General Sean Reyes notes that the State of Utah is currently filing a lawsuit against Purdue Pharmaceuticals, the makers of the opioid OxyContin, due to the addictiveness of the drug. “We are suing a major manufacturer for perpetrating a fraud on the medical community, and the community at large, about the addictive nature of opioids,” says Reyes. The aim of the lawsuit is for the accused party, Purdue, to give funding for behavioral health services and rehabilitation facilities. Reyes mentions that it isn’t just pharmaceutical corporations that are responsible, though. Commercial distributors who facilitate the sale of opioids and a minority of renegade physicians are just as responsible. Reyes also calls on addicts stable enough in their recovery to reach out to those struggling with addiction issues. SLCC has a bevy of counselors and social workers ready to provide support to those struggling with anything from stress, anxiety, to alcohol and drug abuse. Visit the Center for Health and Counseling for more information on counseling and addiction resources. No one wants to tell you about the flip side to the war against opioids users: a huge increase in suicide amongst chronic pain patients. Their doctors are being attacked, threatened with loss of licensure and/or jail time for helping people with a legitimate need. So they’re taking away the only relief available. The other thing you’re not being told is that the overdose statistics are lumping in the small number of prescription patients with the overwhelming number of people using street drugs. Patients are not criminals.